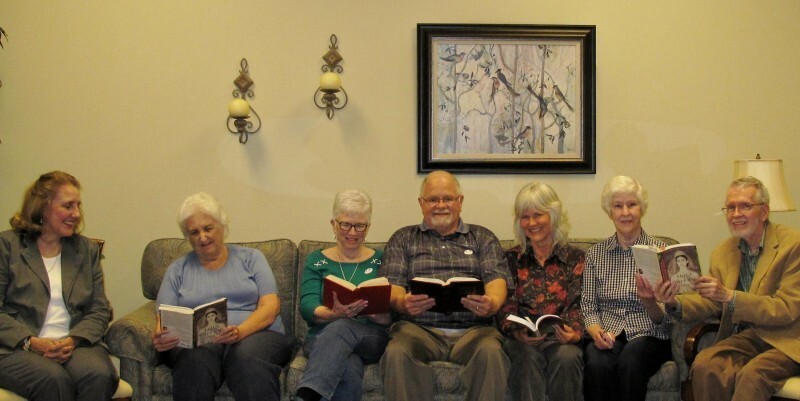 C. S. Lewis Literary Guild – book discussion group established at Trinity in 1989. All adult members of Trinity are invited to join the group which meets the first Tuesday of the month September through May with a book selection night and a wine and cheese party on the first Tuesday in August. Usually meetings are at the church in the Sara Snyder Guild Room or occasionally in a member’s home. A variety of fiction and non-fiction works are selected. This year they include: The Magpie Murders by Anthony Horowitz, Hillbilly Elegy by J.D. Vance, The Alchemist by Paolo Coelho, Astrophysics for People in a Hurry by Neil deGrasse Tyson, A Piece of the World by Christina Kline, The Little Paris Bookshop by Nina George, Killers of the Flower Moon by David Grann, The Garden of Evening Mists by Tan Twan Eng, The Rooster Bar by John Grisham, and Hero of the Empire by Candice Millard. New members are encouraged at any time during the year!